Speaking English with Ace & Christi Pace 11 Pace 11 of 12 Speaking English with Ace & Christi is a program provides the means for the school-aged child who does not speak English as his/her first language to become sufficiently acquainted with spoken English. It is a series of 60 lessons intended to teach young children conversational English skills that will enable them to progress through the ABCs with Ace & Christi learning-to-read program. Speaking English with Ace & Christi provides lessons for aural and oral English language development that include: -Everyday listening and speaking -Communication strutures that allow children to verbally express their questions, statements, needs, and ideas -Vocabulary and language skills necessary for children to progress through the ABCs with Ace & Christi learning-to-read program. 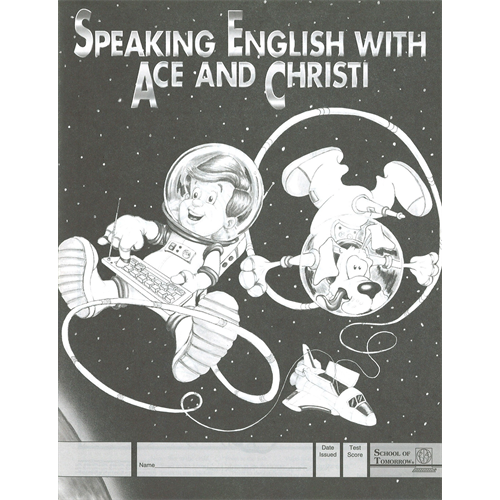 Required Resources: Speaking English with Ace and Christi Manuals and CD.